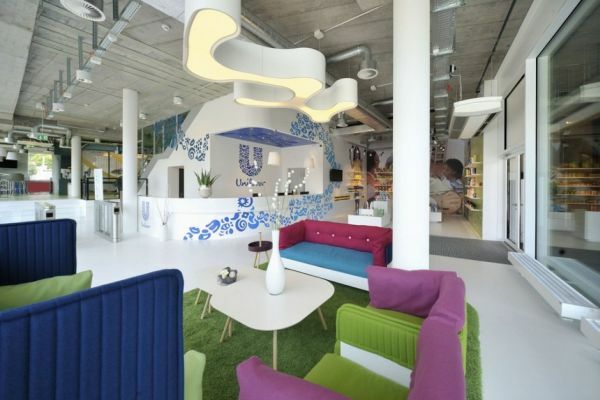 Zurich-based architecture studio Camenzind Evolution designed the office interior for Unilever headquarters in Switzerland. 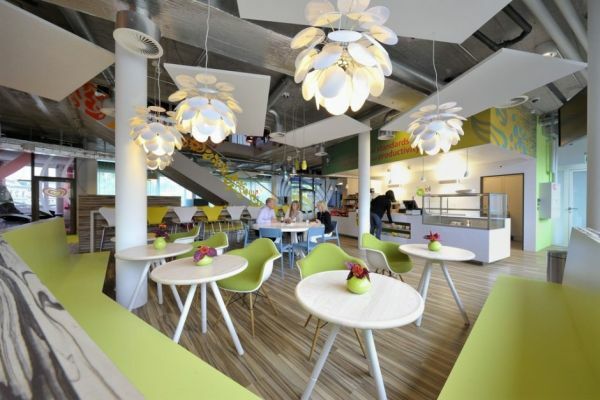 The architects helped develop a workplace that is well-suited to their agile working goals. 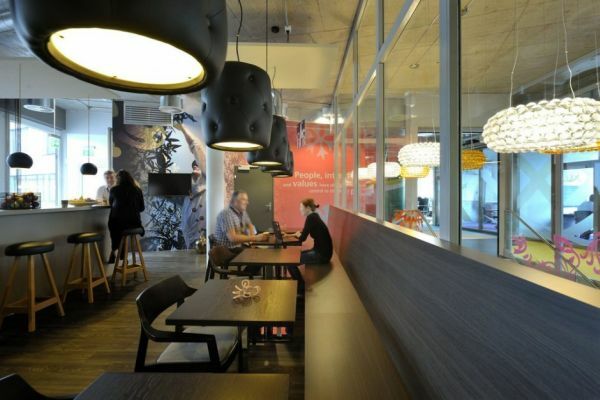 Having in mind a modern office concept, which can already be seen in many large companies in the world, they created a place that is like a second home to the employees. The design of the Switzerland space is meant to give ample room for productivity in all forms; small and large meetings, individual work, collaborative projects and teleconferencing. 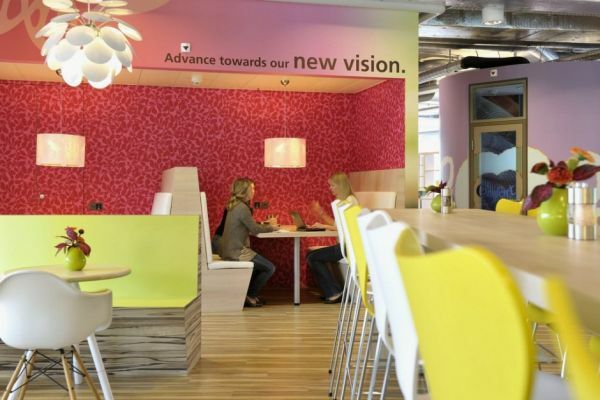 The open space blends all kinds of bright colors, textures and patterns with an interesting design solutions that encourage teamwork. For example, employees are not assigned specific workstations which not only reduces real estate overhead, but also provides them with a different experience everyday. The space's bright colors and bold patterns give it a vibrant and living feeling. Some of the conference spaces are adorned with company brands, while other spaces are given company mottos for inspiration. 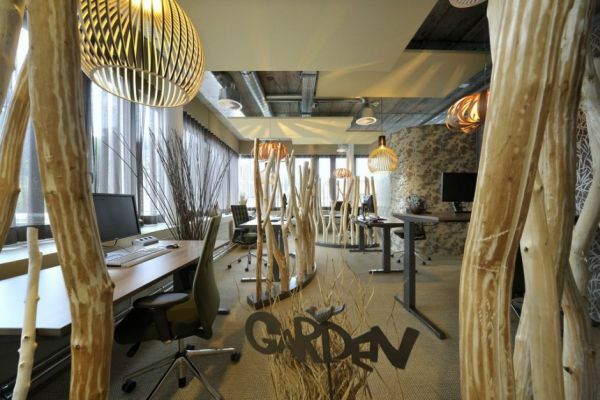 This office has a cool design with a dead tree, chalkboards, interesting and fun light fixtures, and so on. 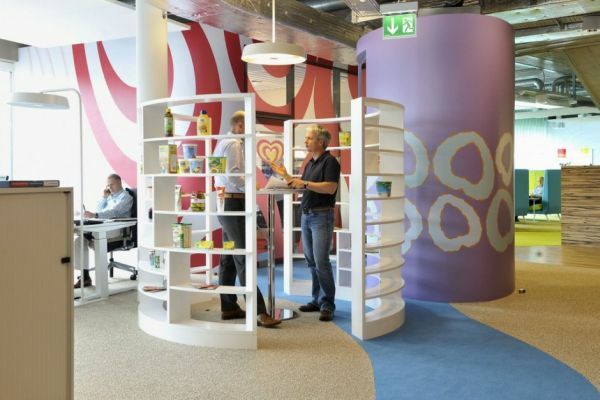 Everything about the Switzerland headquarters of Unilever is great. It is a fun and creative environment where people can feel like home. Who wouldn't want to work here?